Two friends will go toe-to-toe at UFC 228 when Carla Esparza takes on Tatiana Suarez. Two friends will be locked inside the Octagon at UFC 228 when UFC strawweights Carla Esparza and Tatiana Suazrez go toe-to-toe in Dallas, Texas. Esparza is coming of the back of a split decision loss to Claudia Gadelha but has shown big improvements since losing her title to Joanna Jedrzejczyk in 2015. Speaking to MMANytt.com this week, the former champion revealed she has a friendly relationship with Suarez and that she’s known her since their younger years working up through the local scene. “I’ve known here for years, we actually grew up together on the local circuit,” Esparza said. “I’ve known of her for a long time and she’s actually been my friend for many years. As far as looking at her on a professional level and looking at her as a fighter, I think she’s a great grappler and a two time world medallist in wrestling on the women’s circuit. Whilst having a lot of respect for her grappling, Esparza hasn’t been so impressed with Suarez’s work on the feet. 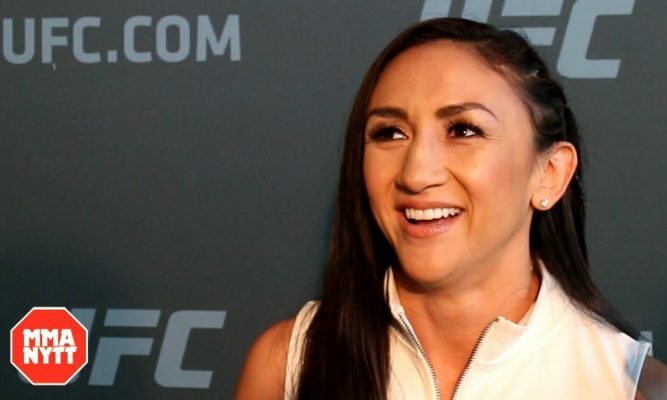 Despite winning TUF season 23, Esparza still think she has a lot to learn. “I don’t think she’s shown a lot of versatility in her striking so far, but she’s still young in this sport,” Esparza said. 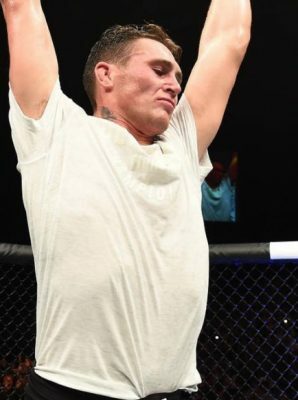 Esparza will walk into the Octagon with three times the amout of fights as Suarez having fought professionally already 18 times. Come fight night, Esparza thinks that her experience will be a big advantage. “I think the numbers and the fights speak for themselves,” Esparza said. “You will have seen the type of fights and wars that I’ve been in. It gives me a lot of confidence to overcome anything that anyone can throw at me.